The first ever Fast & Furious spin-off, Hobbs & Shaw, is finally hitting theaters this summer and fans of the franchise are extra hyped to see Dwayne Johnson’s Hobbs team up with Jason Statham’s Shaw. One extremely exciting new addition to the franchise is Idris Elba, who will be taking on the role of the film’s villain, Brixton. The first trailer for the movie proved that Brixton is no ordinary Fast & Furious villain. In fact, he has super powers! The upcoming film’s producer, Hiram Garcia, recently shared a photo of Elba’s character to Twitter and he looks more menacing than ever. As you can see, Brixton looks like he’s about to f*** some s*** up with a flamethrower! The first trailer for the movie began with Elba proclaiming his villainous intentions, so it’s no surprise he’s got some sweet weapons up his sleeve. “I’m the necessary shock to the system. I am human evolutionary change. Bulletproof. Superhuman,” he proclaims. “Who the hell are you?,” Vanessa Kirby’s Hattie Shaw asks. When it was first revealed that Elba would be rocking some superhuman powers, many people took to Twitter to express their feelings over the decision. Following Luke Hobbs (Johnson) and Deckard Shaw (Statham), this new movie will be focusing on an alliance between the two characters, who have had a rocky history during their time in the franchise. Hobbs first appeared in Fast Five as a Diplomatic Security Service agent who is tasked with hunting down Dominic Toretto (Vin Diesel), Mia Toretto (Jordana Brewster) and Brian O’Conner (Paul Walker). The character eventually learns that our main protagonists are the good guys and joins their crew for the remainder of the franchise. Shaw entered the films as a villain, initially killing a prominent member of Toretto’s crew in the mid-credits scene for Fast & Furious 6. However, after spending the seventh film as the main antagonist, Shaw returned to number eight as a good guy. WWE star Roman Reigns will appear as Hobbs’ brother along with Josh Mauga, John Tui, and Cliff Curtis. The Hobbs brothers own a vintage car shop in Western Samoa. Rounding out the family affair will be Hobbs’ daughter, who has been recast from the original Fast & Furious films. So, it very much seems like a family affair this time around. 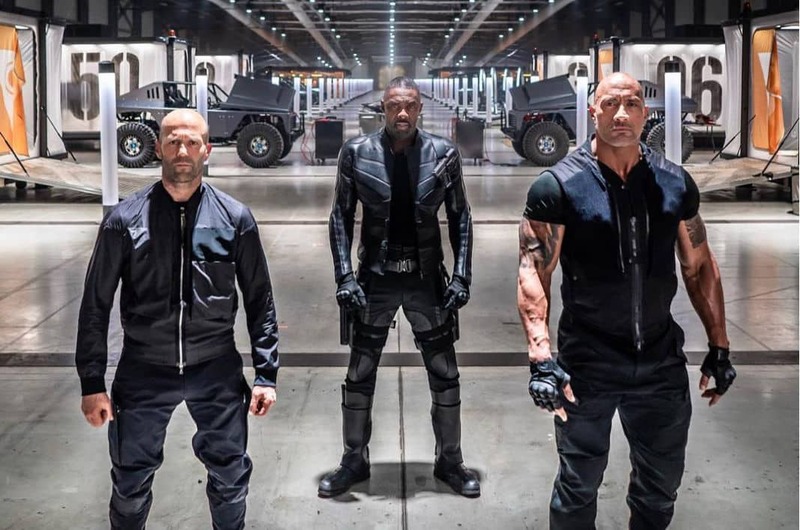 Hobbs and Shaw will be facing off against Brixton (Idris Elba), the “Baddest Bad Guy the Fast & Furious franchise has ever had,” according to Johnson, who has been hyping up the showdown on social media for a long time now. There is also the mysterious Madam M (Eiza Gonzalez), who could be friend or foe, to contend with as well. Either way, these guys are going to have their hands full. No matter what the story might be, Hobbs & Shaw is sure to feature outrageous action, well-choreographed fight scenes, a bit of humor, and a lot of fast cars. Fast & Furious Presents: Hobbs & Shaw will hit theaters on August 2nd.